I designed Chinese New Year greeting cards as part of Confluence and Faithful+Gould's e-marketing initiatives. It was emailed to client, suppliers, and industry peers, and was uploaded on the companies' websites. 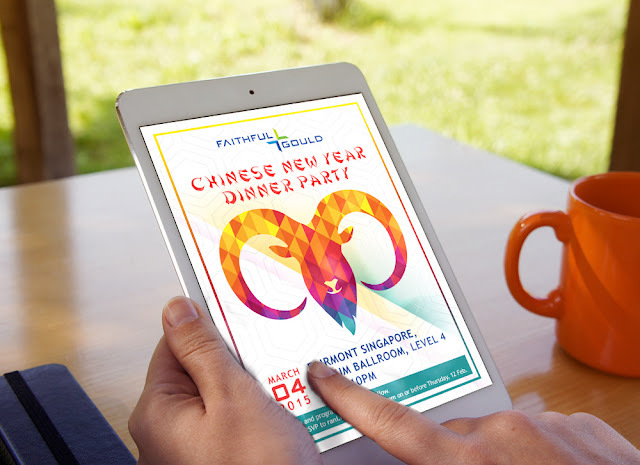 The Confluence design incorporated Chinese elements as well as a hand-drawn snake in the shape of 2013 (year of the snake in Chinese zodiac). I went for a more contemporary approach for the Faithful+Gould designs with polygonal zodiacs.